When the current-generation Fusion debuted for the 2013 model year, it essentially established a new standard for style in a midsize family sedan. Now, its gracefully lean, carefully-proportioned body continues to attract admirers. Eyes are particularly drawn to its gloriously simple, horizontal oval grille. Little has changed on Fusions for the 2018 model year. Fusion choices practically set a record for diversity. Four powertrains are offered, with five trim levels: S, SE, Titanium, Sport, and Platinum. Ford also offers both a regular Hybrid and a Plug-in Hybrid variant. All Fusions use a 6-speed automatic transmission. Base engine is a 175-horsepower, 2.5-liter four-cylinder, which doesn't stand out in any way. Substituting a 1.5-liter EcoBoost turbocharged four-cylinder raises output only slightly, to 181 horsepower, but adds stop/start technology that's meant to improve fuel economy. Upper-level Fusions are equipped with a stronger 2.0-liter EcoBoost turbo four that produces 245 horsepower. Top dog beneath the hood, standard in the Sport sedan, is a 2.7-liter EcoBoost twin-turbo V6, generating 325 horsepower and 380 pound-feet of torque. That model comes with standard all-wheel drive, but others have front-drive as the standard configuration and AWD as an option. Both Hybrid sedans blend a 2.0-liter gasoline engine with twin electric motors and trunk-mounted lithium-ion battery packs. Combined output totals 188 horsepower. The Energi Plug-in Hybrid can go 22 miles on electricity alone. Recharging a wholly depleted battery takes 3 to 4 hours, using a Level 2 (240-volt) charging station. Plugging into a 120-volt household outlet, charging takes about 7 hours. The regular Hybrid comes in four trim levels, the Energi plug-in version, in three. Every Fusion has a rearview camera, as well as Bluetooth audio streaming. A considerable selection of active-safety technology is available, though most of those features are options, rather than standard. Forward collision warning, with automatic emergency braking, is available for all except the base S model. A Driver Assist Package includes lane-departure warning, active lane control, blind-spot monitoring, adaptive cruise control, rear parking sensors, and active parking assist. Crash-testing by the National Highway Traffic Safety Administration resulted in a five-star rating overall and for side-impact, but four-star for frontal crash protection. 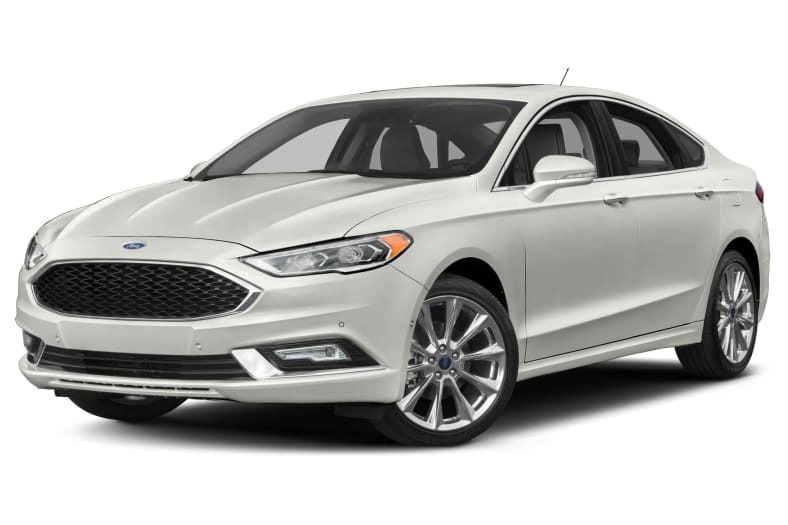 The Insurance Institute for Highway Safety has given the Fusion Good scores, provided it's equipped with forward-collision warning and automatic emergency braking.